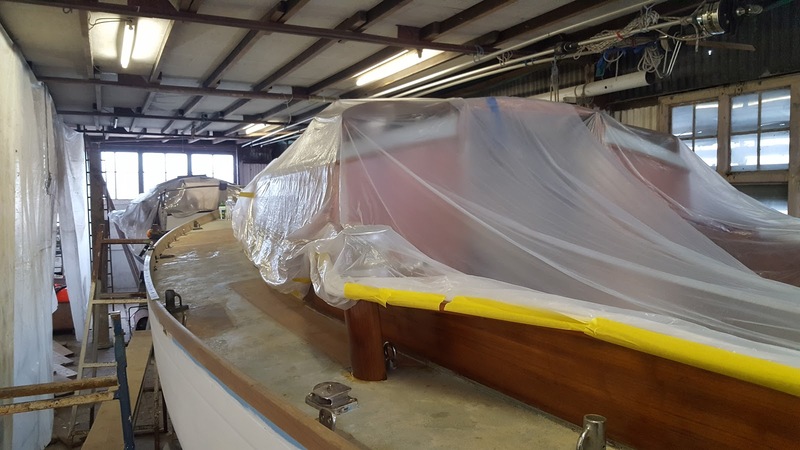 As with all jobs in a boatyard, there are always changes just around the round when you least expect it to come from. 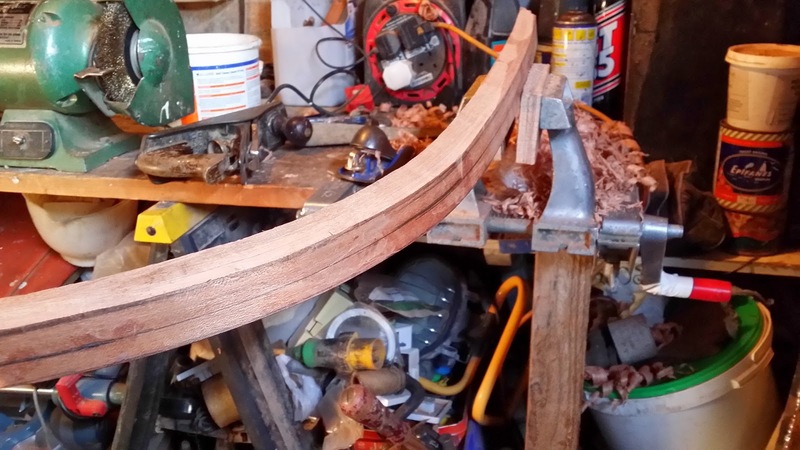 So as jobs get put on hold it gives you time to get on with other jobs that you had put off for another time. 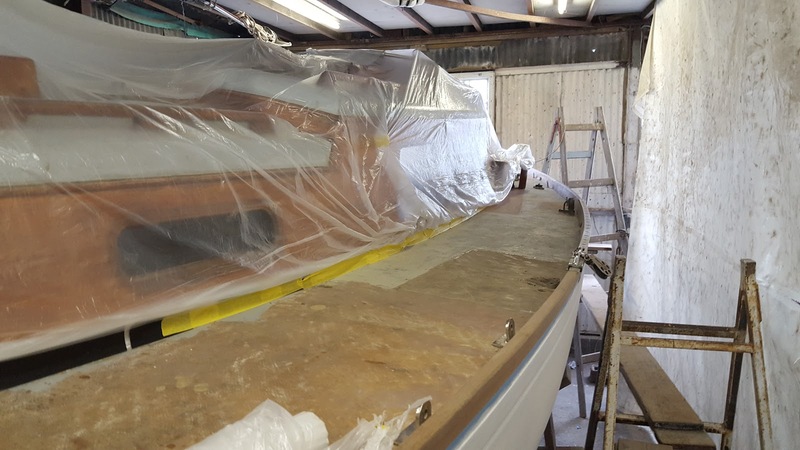 This is the case with the new dinghy the company will be building over the winter months. 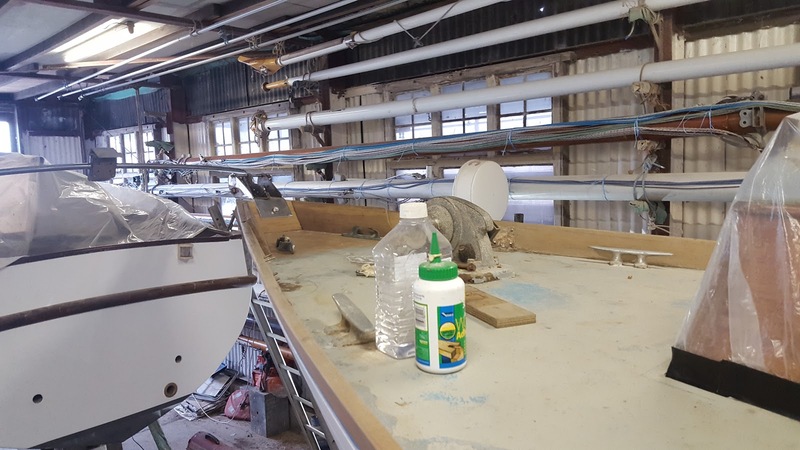 Now that time as made itself available in the schedule, it as been possible to make a start on cutting and shaping the stem and apron of the dinghy and over the next coming days and weeks the boat should start to take shape from a log of larch to a small clinker dinghy. 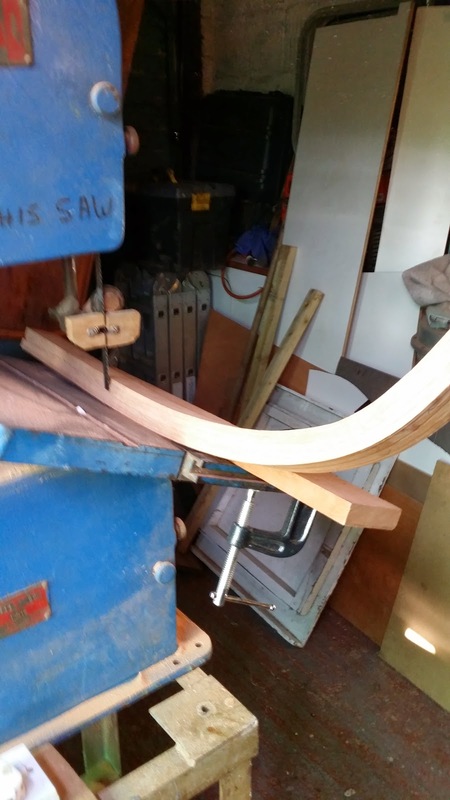 This photo is of the apron being cut down to shape before being planed down to the correct finished shape. 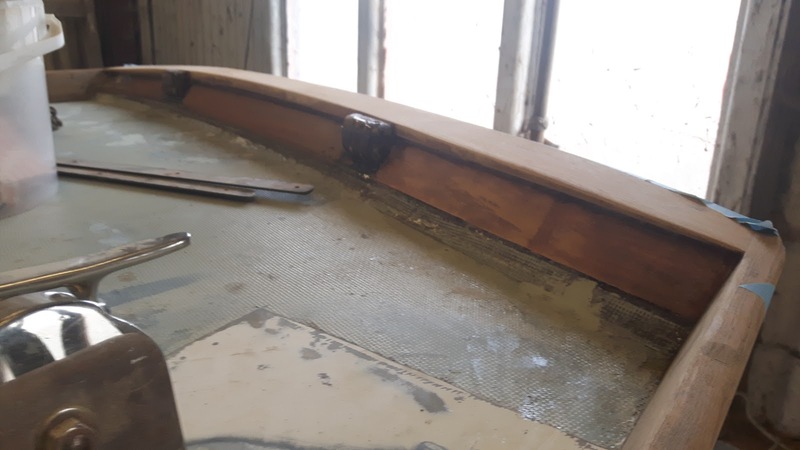 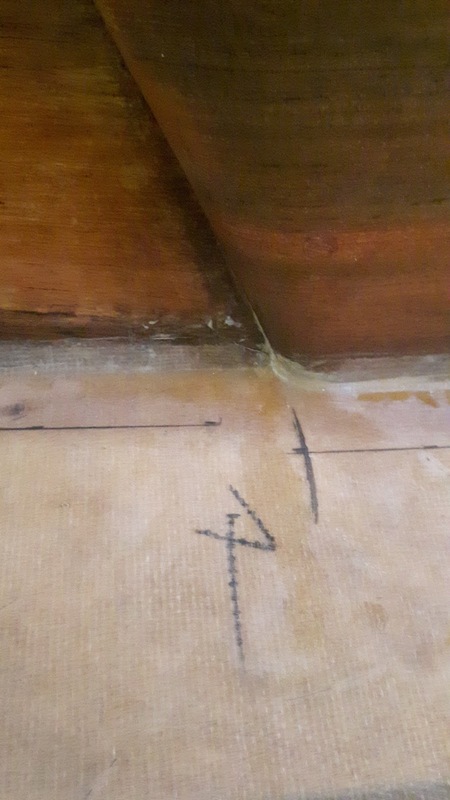 This photo shows the apron being started to be planed down to the correct finished size and shape before it has the copper bolts fitted and it is glued together.